Wannaby, a Belarus startup founded by ex-googler Sergey Arkhangelsky, just launched Wanna Kicks a new app that can let you virtually try on a pair of shoes. The iOS app uses augmented reality to let users try on on various pairs of shoes. In the backend, the app was developed using convolutional neural networks, NVIDIA Tesla GPUs. and the cuDNN-accelerated PyTorch deep learning framework. The app uses convolutional neural networks and 3D geometry algorithms to identify the position of the shoe in space. 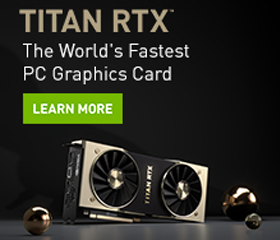 Wannaby is a member of NVIDIA’s Inception program.